I think students write work of higher quality when they know the final product is not for the teacher’s eyes alone. It’s important to allow students to publish and when and how is an important conversation to have together. In my experience, publishing fewer pieces but working them until they are of higher quality results in work that students are proud of and are most reflective of their ability. Publish on a blog like WordPress or kidblog. For more privacy there is always Googlesites and D2L blogs. As exciting as it can be to publish, I think it’s important to have work that exists for the students alone or for students to share with the teacher alone. In my room this year, we had a system: any piece that was not to be shared got a small note in the corner so I knew it was not for public consumption. It has been a powerful tool to allow students freedom to choose what to write and how to publish. Because I know and students know we are constantly working towards personal goals and “Je peux” statements, there must be a framework for writing before beginning. I used one standard rubric this year to measure all writing so students always knew what the finish line looked like. Some choices, like write a poem, write a travel brochure, write a journal entry from the perspective of the book’s main character were sprinkled with “if you have another idea, please check in with me” and some did propose writing a play to be performed with puppets. I think it was important to point out to students that they hold some creative power in writing and not everyone took me up on the offer of creating their own assignment but enough did to tell me that it’s worth offering to students. Too much freedom can be overwhelming. Respect student desire to create something but the frustration at not knowing what to create. Provide prompts, sentence frames, model books. Use the class website to provide links like this. Writers write. Simple enough. I used the Daily 5 strategies to help my students become better writers and students were expected to build their writing endurance, starting from only a few minutes of uninterrupted writing and working up to 12-15 minutes of uninterrupted writing time, which is pretty impressive to watch when a group of eight and nine year olds fall into such engaged writing that they don’t want to be stopped. The expectation in my room is clear though… Once we have had time to brainstorm and to talk through ideas, writing time is just that; writers write they don’t visit. Students are inspired by teachers and writers. Be a writer with them! Occasionally, use student writing time to also engage in writing! You won’t likely get that great American novel written but it’s a good excersise use to put ourselves in their shoes; oh, yeah… Where do ideas come from? Share books and ask questions. What are the writer’s habits? Brainstorm a list: what jobs involve writing? Invite some of them to share. While most of us write a fair bit in our work lives most of it does not look like writing narrative fiction. A Skype author visit is an awesome, low-cost way to flatten the classroom. This year I was tremendously lucky to connect with some writers over Twitter who were generous with their time and spoke with my students. I know teachers who buy hard cover journals for students to give that writing a sense of being special. I know teachers who staple a few sheets of paper together and call in a journal. The book Make Writing has been inspiring for me these days. Sometimes just changing the tools is enough to spark writing. Conversation before writing is a powerful tool especially in immersion! You might also try online collaboration tools like Padlet or google apps for education. Sometimes stacks of old notebooks can inspire. I have a habit of keeping old notebooks that get messy as I fill them, sometimes with fiction, sometimes with research and notes for a paper or presentation… Sometimes it takes many notebooks and binders filled to get a single piece to publishable quality. Students need to know that good writing doesn’t happen in the first draft. Or the second or the third sometimes… Good writing takes time and effort. Concept maps and story boards can be powerful tools for students to produce organized drafts. Also be willing to let go of planning and write just because it’s fun. Free writing, journals, lists are all ways to throw off the shackles of carefully planned writing. Paper planners are great. I also like comic life and Inspiration for planning webs. Google draw also does well as a collaborative planning tool. Generally, when we start a writing project in my classroom there is a rubric. I like to know what I’m expecting from students before they start and I think it’s useful for them to have a target before beginning. That being said, I think there are times when we should let go of the evaluation part of the writing and write to express an idea or an emotion. Sometimes I think the most creative work happens that way. 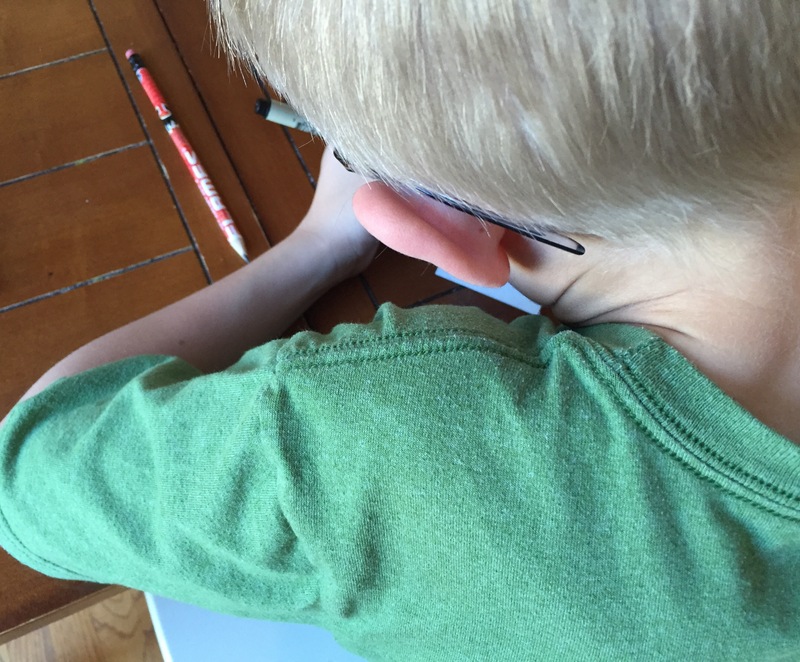 Be prepared to allow students who struggle with fine motor skills or non-standard spelling to voice type a first draft and then to heavily edit the second draft. Typing can also be an awesome tool but takes time to build up the fine motor skills to do it proficiently so I think there needs to be some type of typing “homework”. Tell stories in other ways… Oral story telling is a a fine art, put on a puppet show, make a short film! Whatever it takes to inspire students to put pencil on paper! I would love to hear your ideas for inspiring writers.